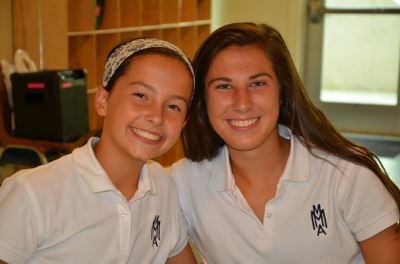 During your important high school search, you may be asking, "Why Merion Mercy"? My answer to you is, "Because a confident woman can accomplish anything." In my many years as Director of Admissions at Merion, I've literally seen thousands of students enter as young girls and become women who know who they are and where they are heading. Yes, our students receive an excellent education, are even more than prepared for college, and the college scholarships that they earn pay off with dividends. Our transformative education reaches into and beyond the classroom, cultivating "Mercy Girls" who are women of purpose, leading lives of integrity and rooted in Catholic values. We are passionate about giving each girl her own unique voice. Each student begins her high school journey with a personal orientation interview, a customized school roster, dedicated teachers who are mentors and advisors, a counselor who guides her all four years, and many other programs to help her quickly find her place. And, in an all­-girls school like ours, studies show that girls tend to feel more respected, supported, are more engaged, and have higher aspirations than in co­ed environments. 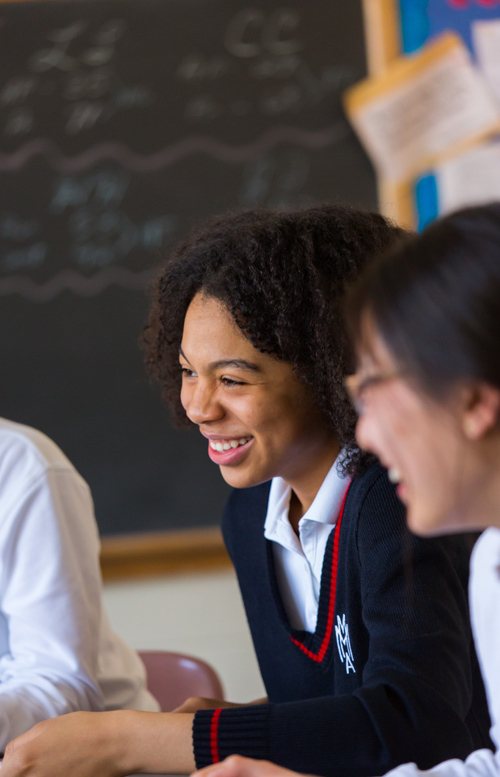 At Merion, we foster a welcoming and inclusive community, where students build friendships with girls from Montgomery, Delaware, and Chester counties, Philadelphia, and South Jersey; all with varied cultures and backgrounds. We believe that in order to succeed, students should expand their world and understand and respect other people's stories, while collaborating with others to shape their own. So, if you want a school that gives even more than a great education– a sisterhood, a place where teachers want students to succeed and help them every step of their journey, an environment where girls can question, challenge, explore, and contribute in positive ways to each other and our world–then Merion Mercy is the place for you. Click here to register for Open House. Click here to register for a Visit Day. Click here for the Application/Test Registration form (one form). Click here for Recommendation Form and here for Release of Transcripts Form.